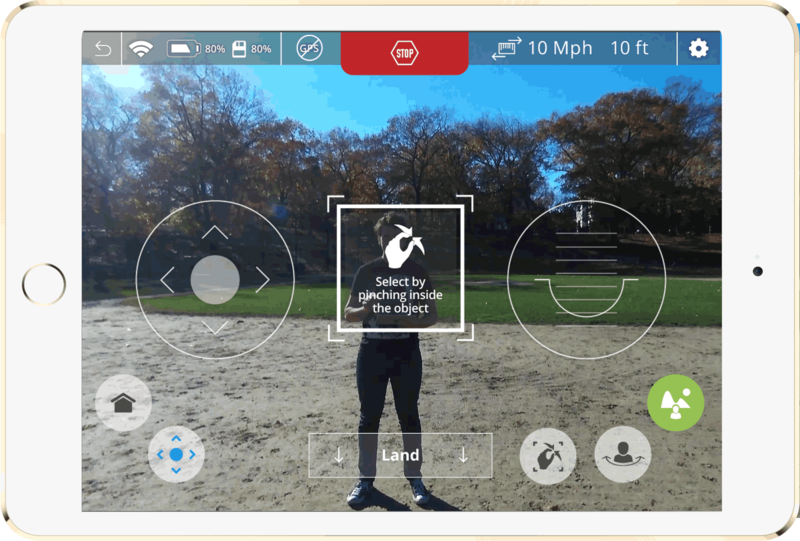 Robotics company Neurala has combined facial-recognition and drone-control mobile software in an iOS/Android app called “Selfie Dronie” that enables low-cost Parrot Bebop and Bebop 2 drones to take hands-free videos and follow a subject autonomously. To create a video, you simply select the person or object and you’re done. The drone then flies an arc around the subject to take a video selfie (it moves with the person). Or it zooms upward for a dramatic aerial shot in “dronie” mode. Basically, the app replaces remote-control gadgets and controlling via GPS on cell phones. Instead, once the target person is designated, the drone operates autonomously. Neurala explains that its Neurala Intelligence Engine (NIE) can immediately learn to recognize an object using an ordinary camera. Then, as the object moves, Neurala’s deep learning algorithms learn more about the object in real time and in different environments, and by comparing these observations to other things it has learned in the past — going beyond current deep-learning visual processing, which requires training first. Neurala says NASA funded Neurela in October to commercialize its autonomous navigation, object recognition, and obstacle avoidance software developed for planetary exploration robots such as Curiosity rover, and apply it in real-world situations on Earth for self-driving cars, home robots, and autonomous drones. Neurela says what makes its software unique is its use of deep learning and passive sensors, instead of “expensive and power-hungry active systems,” such as radar and LIDAR, used in most prototype self-driving vehicles. Of course, it’s a small step from this technology to surveillance drones with facial recognition and autonomous weaponized unmanned aerial vehicles (see “The proposed ban on offensive autonomous weapons is unrealistic and dangerous” and “Why we really should ban autonomous weapons: a response“), especially given the recent news in Paris and Brussels and current terrorist threats directed to the U.S. and other countries.